At Keyes Toyota, our goal is to be here for all of your automotive needs. That’s why we have an extensive selection of new and previously owned Toyota cars for you to choose from. It’s also why we maintain a full inventory of Toyota parts and why we work so hard to get financing for people to buy or lease our Toyota vehicles on the best terms currently available. Finally, it’s why our factory-trained technicians do everything possible to keep your automobile running the way it’s supposed to. One of the ways we try to prove that we’re here for you is by offering you the chance to save on the services your car needs. 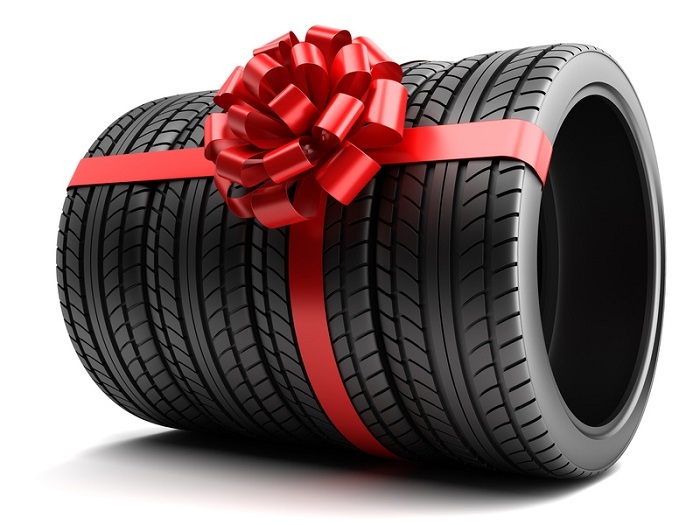 You can see our current service specials by visiting our website, clicking the Service tab, and selecting Service & Parts Specials. We update our specials regularly so be sure you check our Service & Parts Specials page often, especially when you’re planning to bring your car into our Toyota service center. 10% Off Service Special: This deal will save you 10 percent on any one service or repair completed at our Van Nuys, CA Toyota service center. 15% Off Service Special: You can save 15 percent when you buy SightLine wiper blades or a TrueStart battery and have the equipment installed by our factory-trained technicians. $89.95 Toyota Express Maintenance Special: This deal can help you save big on the routine maintenance your vehicle needs. If you take advantage of this deal, we’ll change your oil and oil filter, rotate your tires, perform a vehicle inspection, check your fluids, and more for just $89.95 plus tax. If your car needs synthetic oil instead of conventional, the cost of this deal will increase to $119.95 plus tax. $299 Service Special: With this money-saving deal, you can extend your ToyotaCare plan through four years or 45,000 miles, whichever comes first, for just $299. If you want to learn more about our current service specials or you’re ready to schedule your next service appointment, contact Keyes Toyota today. Now that we have some distance from 2016, it's easier to put the year into perspective. The auto industry is doing just that, with industry newsletter Auto Remarketing releasing their annual report on used and certified pre-owned car sales. It was a record year for many brands, which posted record sales in these categories. Even with the segment experiencing its sixth straight year of growth, the Toyota Motor Corporation stands head and shoulders above the competition. Keyes Toyota explores how they got here. It's not exactly news to the customers we serve in Glendale and Los Angeles that automaker makes great new cars. It makes sense that great new cars will eventually become someone else's great used or certified pre-owned cars. The difference between the two isn't just semantics. Certified pre-owned Toyota cars have many advantages for buyers, including a 160-point inspection, free CARFAX vehicle history, and a three-month trial of SIRIUS XM satellite radio. That's on top of a one year/12,000 mile comprehensive warranty, plus a seven year/100,000 mile powertrain warranty that includes 24/7 roadside assistance. Here's something you may not have known: the Toyota Certified program turned 20 years old in 2016. The program had a humble start, selling only 40,000 Toyota Certified cars in the first year. A lot has changed in two decades. 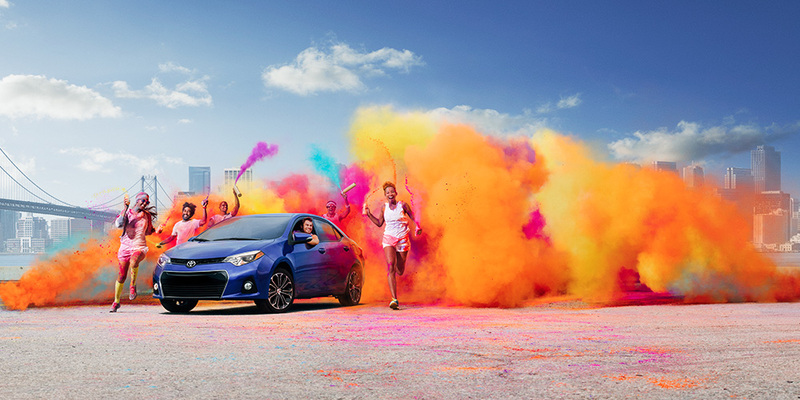 Four million CPO Toyota cars have sold since the program started. 400,000 of those cars sold last year. As a result, Toyota is far and away the number one certified pre-owned brand by volume. 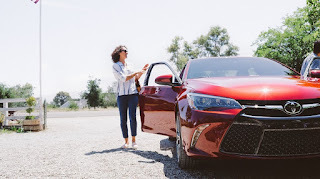 Here's what that means for drivers around Glendale and Los Angeles: if it's time to buy a used or certified pre-owned Toyota model, or if it's time to trade in your recent Toyota model, it's time to visit Keyes Toyota. We're located at 5855 Van Nuys Blvd in Van Nuys, CA. Find out what sets our new, used, and certified pre-owned Toyota cars apart, and what makes the Keyes Toyota sales experience so special. Stop by today! There's a lot riding on the 2018 Toyota Camry. This isn't just the bestselling sedan from the Toyota Motor Corporation. It's the best-selling passenger car in the United States, a title it's held for fifteen years. It enters a new generation in the next model year, and it's getting a big reveal at the 2017 Detroit Auto Show. From the looks of it, the Van Nuys drivers served by Keyes Toyota should be impressed. 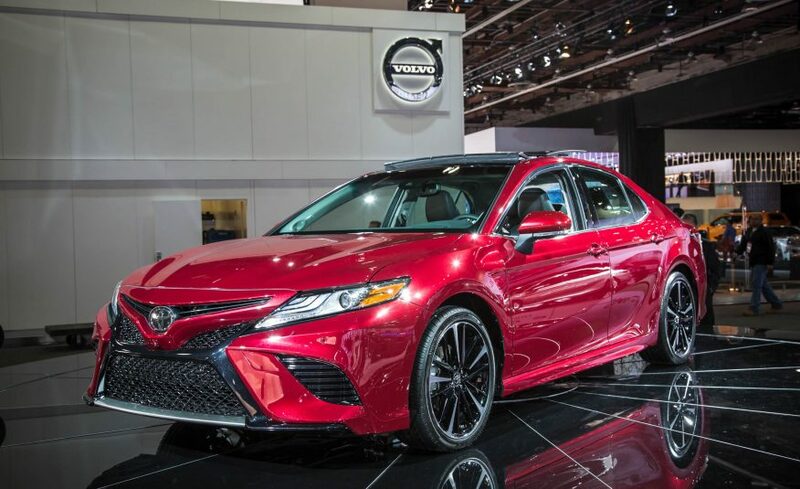 The Toyota Camry will be fully redesigned, with a sharper and more modern look than the current generation. Now based on TNGA (Toyota New Global Architecture), this isn't your typical subdued family hauler. The addition of more aluminum components should help to improve both handling and fuel economy, and the company clearly hopes the new look will entice drivers who might otherwise have considered a crossover. Another clue to what's ahead came late in 2016 from Car and Driver. Toyota Racing Development (TRD), which could be viewed as the Toyota Motor Corporation's in-house tuning shop, is thought to be turning its attention from SUVs and pickups to cars. Its first model should be a TRD variant of the 2018 Toyota Camry, though there's no official street date set. 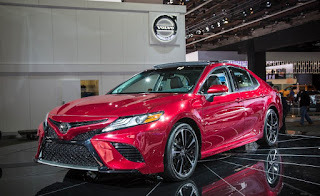 The good news here is that the sportier looks of the new Toyota Camry will get a performance upgrade to match. While we're waiting, there's plenty to love about new Toyota cars right now. That includes the 2017 Toyota Camry, the 2017 Toyota Corolla, and the brand new Toyota Corolla iM. You can find them at your Van Nuys Toyota dealership. Keyes Toyota is located at 5855 Van Nuys Blvd in Van Nuys, CA. Stop by today for a test drive! Every year, most car manufacturers have to face the challenge of meeting higher standards for emissions and fuel economy. Toyota hasn't had that problem, partly due to fuel-efficient gas engines and partly because they lead the industry in hybrid powertrains. Their competitors are taking notice, to a point where that technology may soon begin appearing in other manufacturers' cars. That could have benefits for the Los Angeles drivers served by Keyes Toyota. See, all that innovation comes at a cost. Whether it's a gas or diesel engine, an automatic transmission, or the CVT in your 2017 Toyota Camry, each component is the end result of years' worth of research and development. Even once a powertrain is completed, it still isn't done. The research and refinement continues. The complexity behind the design and building means added expense. As a response to that, the Toyota Motor Corporation is exploring options to license powertrain technology. That seems counter intuitive until you stop to consider that licensing parts and even entire assemblies can be a solid source of revenue, helping to fund the next generation of R&D. It benefits the company's suppliers as well, since the cash flow adds to their bottom line. Besides, the Toyota Motor Corporation already collaborates with many of its competitors. This step is evolutionary more than revolutionary. It may be some time before we see this bold initiative come to pass, especially once the lawyers and bean counters get involved. But it's not as though you have to wait to take advantage of a Toyota powertrain. Come to your Toyota dealership near Los Angeles to see all we have to offer right now. Keyes Toyota is located at 5855 Van Nuys Blvd in Van Nuys, CA.